The weekend straight after the annual All-Energy Australia exhibition and conference is always a great time to reflect: How are we tracking for the energy transition in Australia? Who’s in the tent and who’s out in the cold? What’s hot, and what do we need to to look out for in terms of emerging trends and technologies? All-Energy Australia 2018 was big, the mood was buoyant, and once again it lived up to its reputation for being a serendipitous networking nirvana for energy insiders. For me it’s who you bump into that counts more than all the great stands and in-depth expert panel sessions, valuable as they are. A highlight this year came in the opening day plenary session, when Darren Miller, the new CEO at the Australian Renewable Energy Agency (ARENA), used his speaking spot to make an announcement: the launch of a major new national initiative, the Distributed Energy Integration Program (DEIP). You can read all about DEIP in the ARENA media release, and on this ARENA web page, and also check out the new DER video explainer (it’s simple and good). 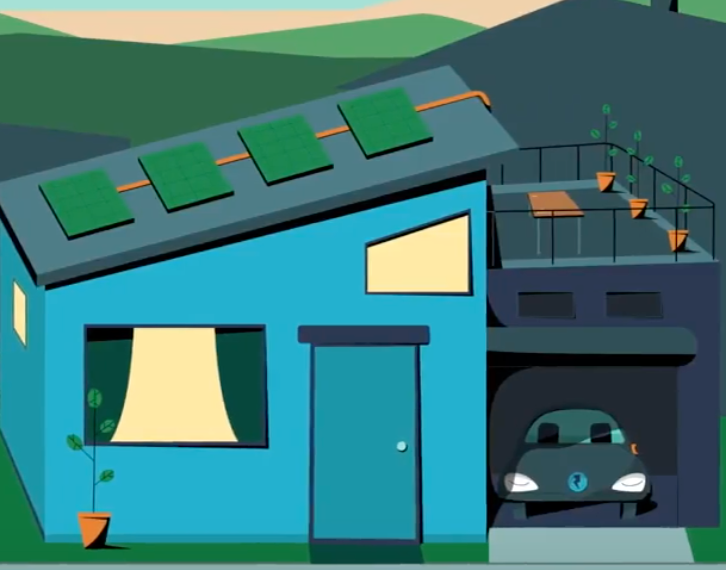 In a snapshot, ARENA is anchoring a collaboration of the main energy sector peak bodies, market authorities, industry associations and consumer advocacy players to guide and drive the integration of distributed energy resources (DER) into the electricity grid. That’s flagging massive ongoing change for the energy sector, focused in the consumer-controlled domain behind the utility meter. My only quibble is that I expect the transition will be both faster and bigger than these forecasts, more in line with the techno-optimist projections of futurist Tony Seba, who sees the old energy order being swept aside by 2030. Even if the eventual outcome lies somewhere in between Seba’s technology-bullish total transformation by 2030, and the CSIRO and AEMO forecasts of 45% consumer-controlled energy generation by 2050, it’s still a dramatic transition to move to an effective DER future. ARENA’s announcement of the DEIP caught my attention, because my topic in an All-Energy panel session the same afternoon was right on theme: Grid 2.0 and the integration of small-scale distributed energy resources. A key reason why DEIP is so timely and important is that while many now see how far-reaching the transition will be, the job of making it happen is still at its very early stages. 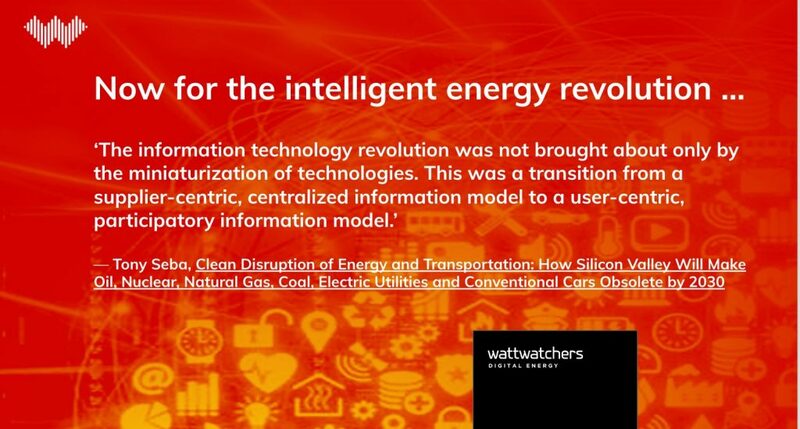 That’s where my presentation focused, because Wattwatchers is a pioneer in the emerging technology area of enabling distributed energy with digital tools and cloud services. We’ve been in the business of accurately monitoring and controlling electricity in real-time through the cloud since being founded in 2007, which is 11 years (or 6 Prime Ministers) ago. A big part of the reason that I’ve personally embraced techno-optimism for the energy transition is how much change has already unfolded in that time, especially the shift from only about 10,000 rooftop solar PV systems in Australia in 2007, to closing in on 2 million today. But you can be an optimist without being a pollyanna about it. We can make this transition, but it won’t just happen of its own accord and it will take great strategy, tactics and sheer effort, plus the right technologies and tools (the late Canadian communications philosopher Marshall McLuhan was spot on when he opined that ‘you can’t do today’s jobs with yesterday’s tools’). To me, the advent of the DEIP says loud and clear that ARENA and its dozen or so partners see this too. 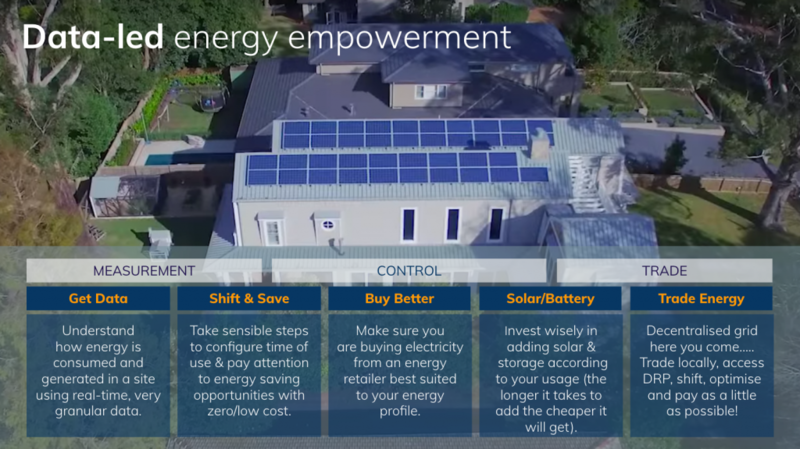 The Wattwatchers team has developed our own ‘theory of change’ for the electricity system in Australia and the estimated 10 million homes and small businesses that are connected to our nation’s grids. It’s fairly self-explanatory, but the idea is that early investments in getting more data – and using it to make electricity work better for people, the system, and the wider community and economy – will pay off for everyone. 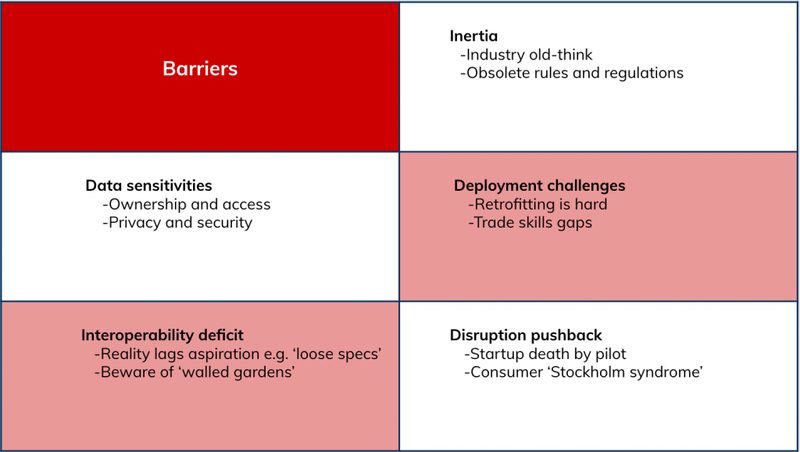 My presentation proposed what Grid 2.0 needs to look like. 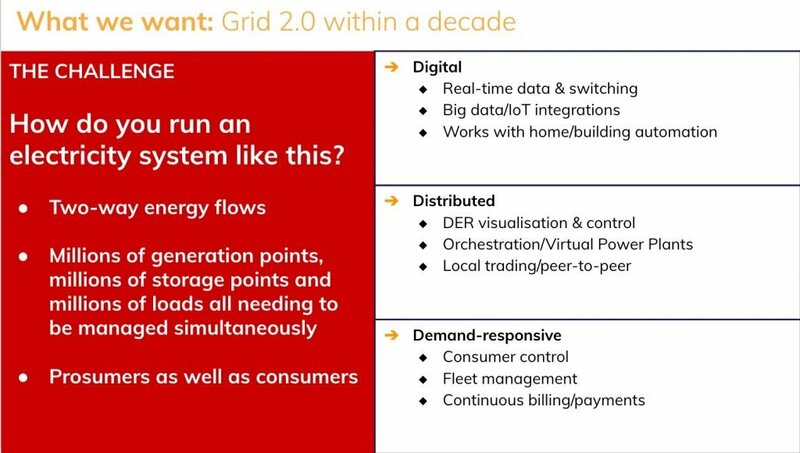 Ideally, it will be digitally-enabled, distributed widely in vital contrast to the centralised model of Grid 1.0, and will be highly-response to demand and friendly to consumers (who will own a lot of the data and will decide who can use it for what purposes). 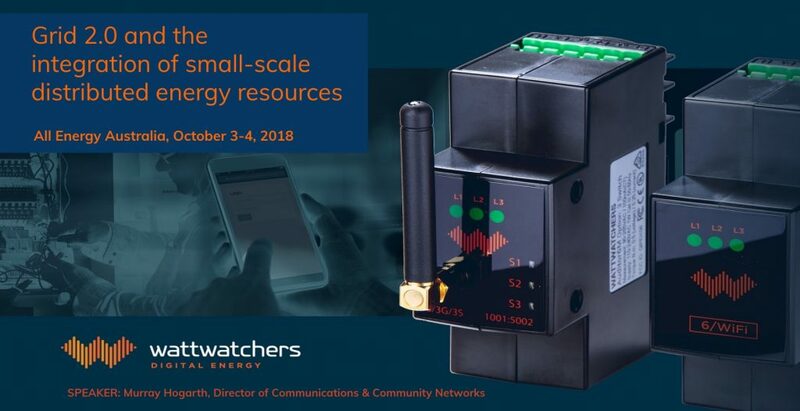 In the Wattwatchers view of the not-so-far-off energy future, there will be massive amounts of energy data becoming available over the next 5-10 years, with the largest portion of it being originated on the consumer side rather than by utility-controlled smart meters. Getting access to this data will become a critical issue, especially in a world that is increasingly data rights aware and sensitive, to ensure it is accessible to help the electricity system operate better and integrate rising levels of DER, and to enable new markets and services. Of course there are barriers to achieving this next-generation electricity system. 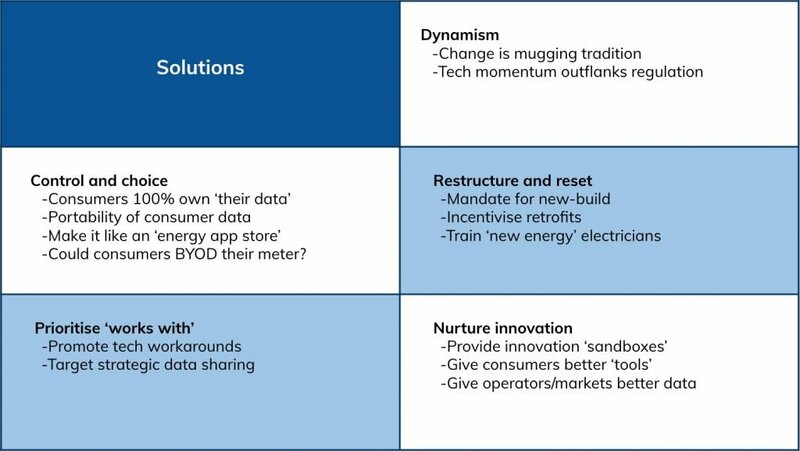 Many of Grid 1.0’s rules, regulations and business models are out-of-date and no longer fit for purpose; data privacy and security concerns are on the rise globally; retrofitting new energy technologies into existing properties is genuinely challenging, and new trade skills spanning electrical, communications and IT capabilities are required; while many plead for ensuring interoperability between different technologies, brands and product models, in most cases the exact opposite is happening in the field; and disruptive new technologies and business models are struggling to break out of the ‘let’s do another pilot’ approach of the mainstream industry, while at the same time consumers are often stuck in the old energy paradigm themselves (Wattwatchers CEO Gavin Dietz dubs this a form of ‘mass Stockholm syndrome’). 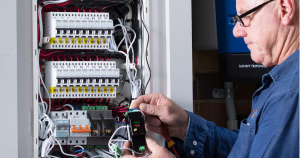 If every meter box looked like the one on the left, the transition might be easier than it currently looks, but the meter box on the right is much closer to the reality for many established homes. 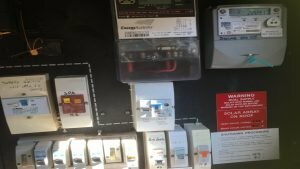 Installation is a huge frontline issue for many new technologies, Wattwatchers included, and overcoming the challenges will require the attention of many stakeholders, hopefully as part of DEIP and beyond. We don’t only see barriers. There are solutions too. The sheer momentum of technology innovation and implementation is sweeping around the blockage of political failure, policy inertia and regulatory obsolescence; consumers are already being offered unprecedented choice of new services and tools, with opportunities to become empowered participants in the evolving market; there are clear avenues for restructuring the electricity system to boost consumer involvement and to foster new trade skills; with the right cooperation and coordination, many technologies can be made to ‘work with’ other devices, datasets and controls; and more and better data, and the creation of more space for innovation, can accelerate the energy transition. 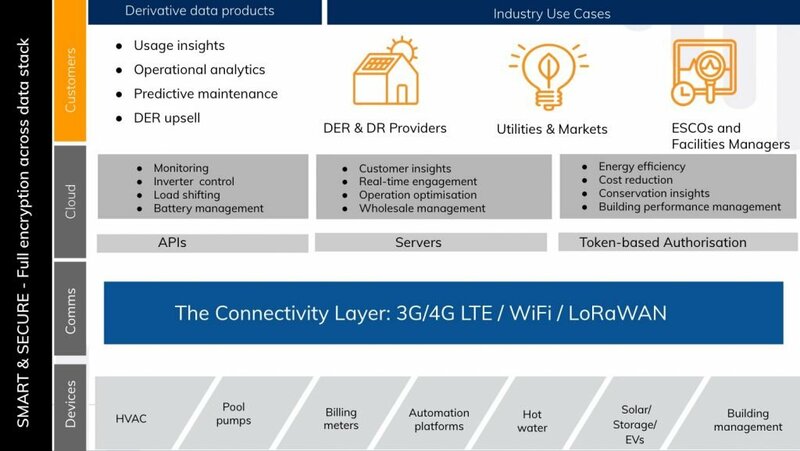 Wattwatchers sees this future unfolding already, and the digital architecture for Grid 2.0 is becoming more clear across four main layers: devices/hardware, communications/connections, the cloud, and the customer space. To close out, this energy transition is real and inevitable, but we are still only at its beginning. The DEIP has a key role to play, we applaud its inception and wish it well, and we look forward to working with it. *Murray Hogarth is Director of Communications & Community Networks for Wattwatchers.